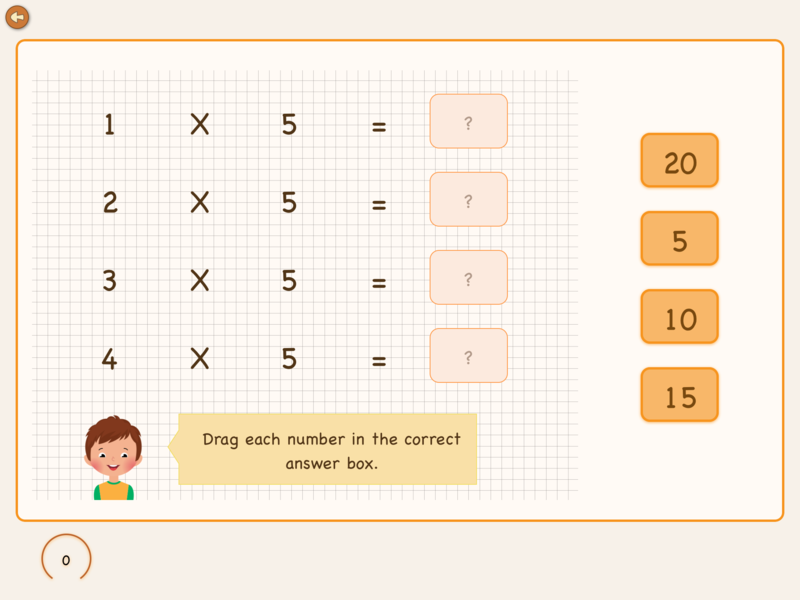 With this app, you will learn times tables on your iPad, tablet, or phone. There are ten apples in a bag. How many apples do I have? Do you want to learn the first ten times tables in your head? This app contains a total of ninety exercises, which allow you to learn the tables, 1 through 10, well. The exercises are grouped into ten booklets. 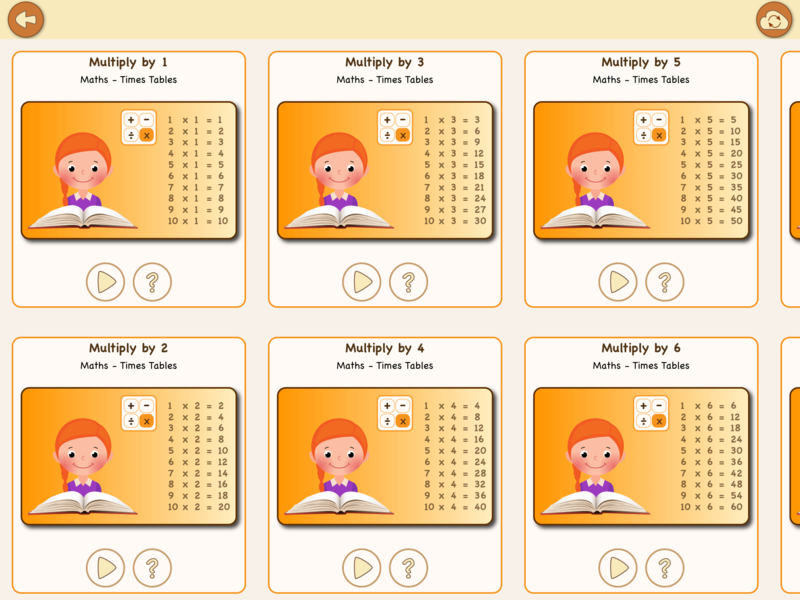 Each booklet contains eight exercises and covers one specific multiplication table. The booklet closes with a times table test at the end as well. The tasks arrange from simple to challenging. This approach comes back in the same way in each booklet so that you get used to it and do the exercises by yourself. By setting up the app in the form of a book, you can always choose the order in which you want to learn the tables. 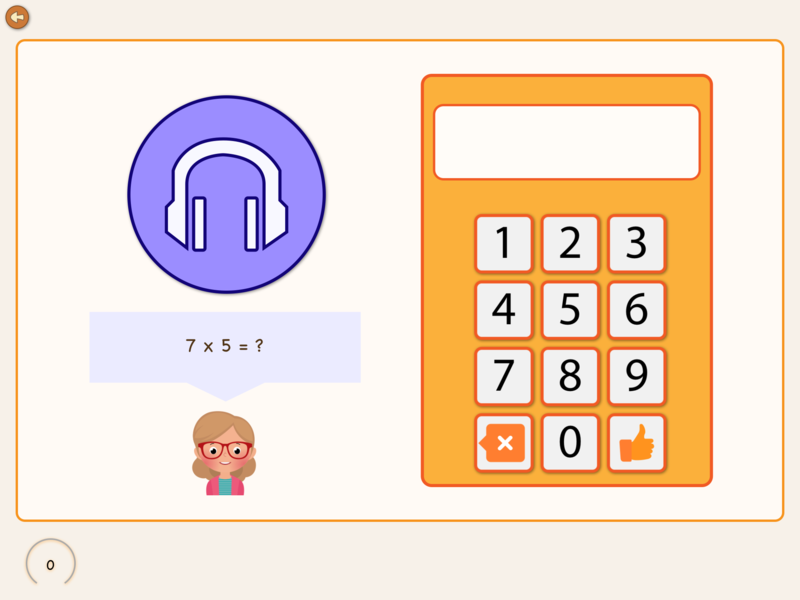 Besides this app, we also have the app, Multiply to 500, which goes beyond the first ten tables and is more suitable for children who have already learn the tables once and want to repeat them again and also want to gain the understanding of higher times tables. This app contains ten digital practice books. Each booklet covers one table and includes eight exercises and a test. 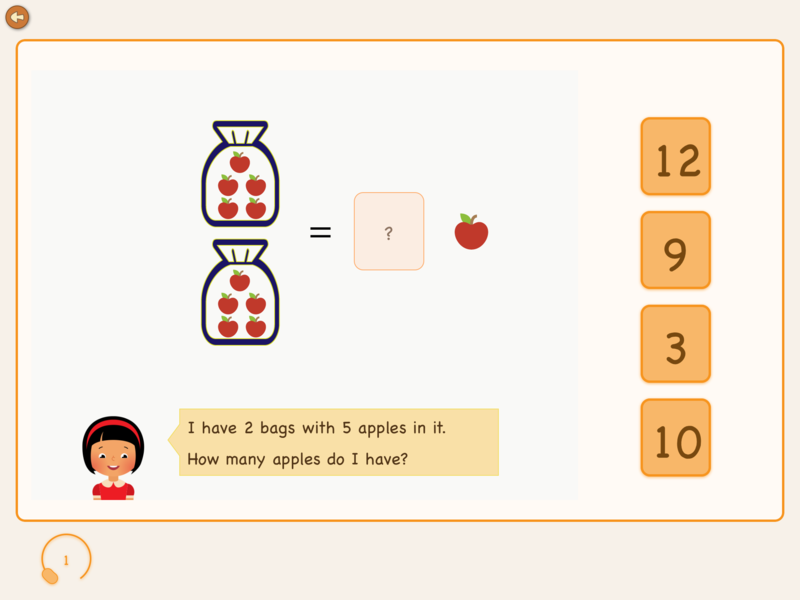 First, you learn to understand the multiplication table by counting apples in a bucket. This way, you learn the concept of multiplying. First, you learn the multiplication table in order. All sums are ordered from low to high. In this way, you will learn the ten multiplication sums of the table in your head. 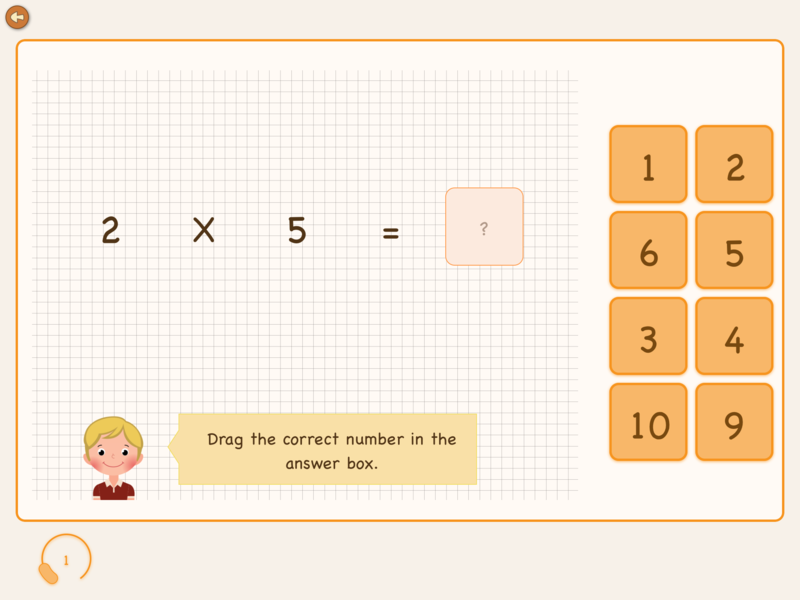 When you learn the multiplications in order, you will learn the sums in any order. You always make a choice for different answers. In this exercise, you will listen to the pronunciation of the sum and then type in the answer. By listening first, you will learn even better the sums from your head. During these exercises, you will finish the sum to make the right outcome accurate.